Created in 1985 by David Hohnen, founder of the Cape Mentelle estate in Australia, the Cloudy Bay vineyards extend to the mouth of the eponymous bay in New Zealand. This landscape, nestled between the Pacific Ocean and the Richmond Range mountains, is truly exceptional. 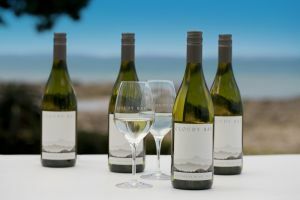 Cloudy Bay, one of the first estates to be established in the Marlborough region, has made a huge contribution to making New Zealand one of the great names in wine worldwide. The famous Sauvignon Blanc is the wine Prime Minister John Key chose to serve to the Duke and Duchess of Cambridge during the royal tour, gifting them a bottle of Cloudy Bay’s Te Koko, the oaked, richer-tasting sauvignon blanc to take home to the Queen. It is reportedly Victoria Beckham’s favourite drop (she is rumoured to have ordered 40 bottles for a football party for husband, David Beckham) and it is a favourite drink of actor Russell Crowe, while ex-Top Gear host Jeremy Clarkson is fond of both the sav and pinot noir. The story of Cloudy Bay goes a little something like this: two New Zealand winemakers went to visit wineries in Australia and took a bottle of New Zealand sauvignon blanc. They found their way to Margaret River’s Cape Mentelle Vineyard where David Hohnen sampled the wine and described it as the “most amazing smelling wine he had ever smelled”. He had been making sauvignon blanc in Western Australia and had never been able to create something like it. “In Dave’s words,” says Jim, “he thought while it smelled good, they needed to be taught how to make it taste good”. So, two years later David came to New Zealand and in 1985 established Cloudy Bay using borrowed grapes from other vineyards in the region at the time. In those early days, David’s nature was very unconventional. Today David has departed from the vineyard he started. Cloudy Bay is now owned by the Louis Vuitton Moet Hennessey Group and the next generation of viticulturists and winemakers at the helm are just as passionate and proud of the history and flavours they are producing. The backing of the luxury French conglomerate is proving to be a big advantage, with Cloudy Bay sauvignon blanc and Te Koko the only sauvignons on the company’s portfolio. This extends their distribution around the world — plus it helps that it sits alongside some of the best French Champagnes in the world including Dom Perignon, Veuve Clicquot and Moet et Chandon.